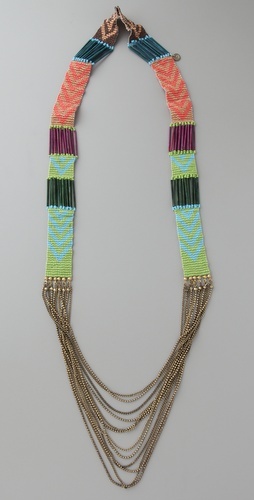 Summer is rapidly approaching, which means it’s time to layer on the colorful accessories. It's time to go wild with vibrant additions. 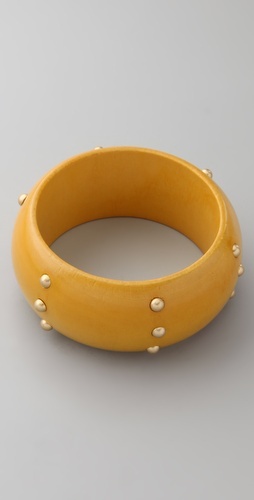 Nothing makes an outfit pop more than a bight colored necklace or colorful arrangement of stacked bangles. These days everyone is incorporating vivid and lively shades into their celebrity jewelry lines including Jessica Simpson, Tori Spelling, Nicole Richie and style guru, Rachel Zoe. Accessories are a great tool to freshen up an old look and no time is more appropriate then summer. There's no need to run out and buy a new dress or top every weekend. Challenge yourself to use accessories to glam up your ensemble. The look will be fun, original and keep you from cringing when your AMEX bill comes in at the end of the month. 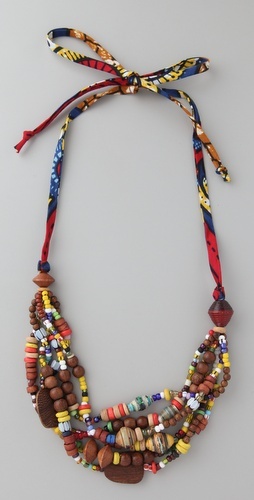 I've pulled some of my favorite vibrant necklaces and bracelets that are available online at Shopbop.com. Be sure to pick up some of these beyond amazing pieces to brighten up your collection before summer. great simple white outfit really makes the colorful accessories pop! You look amazing as always! I love your bangles! nice outfit ! u are very beautful ! that teal coral cuff is amazing, great post...love the bold colored bangle trend right now! Love! A simple white look with colorful accessorie!!! Perfect! So cute ! Love all the colors. it's gorgeous and colorful! love love!! oh i love these accessories. the brighter the better i say! 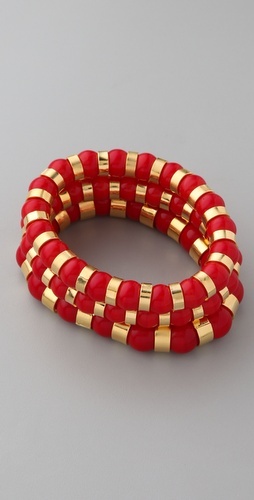 combining coral accessories with a tan is such a winning combination. look at you being pretty! You blog is great. I loved your pictures and everything, I really want to see that movie water for elephants. Come check out my blog if you want. I followed you too. I love the colorful accessories, you look great!!! First of all ... envy for the warm temps that you have right now ... cool and drizzly outside where I am! 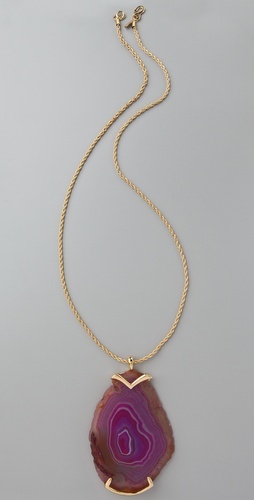 Second ... LOVE the pieces that you chose! Just gorgeous!! 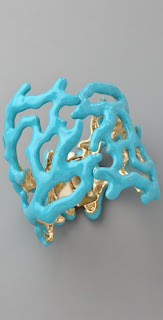 The tiffany blue coral look bracelet is fabulous! I LOVE that blue coral bracelet. I love your bangles! Colorful jewelry looks so great with neutrals. i love how the colourful accessories pop against the white! gorgeous! Love all the accessories..very colorful. Love your blog header!! Your blog is awesome! Thankyou so much for your comment on my blog, I really appreciate it! Your blog is so great, and, reading your ABOUT ME, I'm quite similiar! I looooved dresssing up! I mainly raided the linen cupboard and turned sheets into wedding dresses, haha! Great entry! Love your blog. Thanks for leaving a comment and following mine! Yes SO into bright colours right now! bright colors are a must!!! 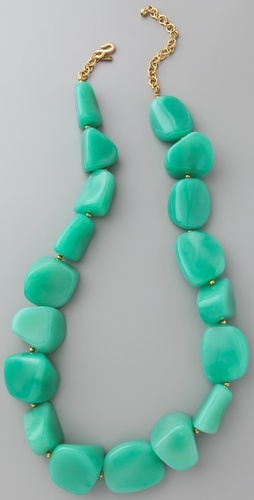 love that they're a trend, especially worn with white. great post!! I love all those bold and vibrant colors! just found your blog and love the clothes and jewelry, and your hair! All this colorful jewelry is amazing and I love your hat from where is it??? gorgeous pieces! i love all of the colors! hope u had a nice easter! I just discovered your blog. It's awesome!!! Love the colorful bangles! So pretty! You look soo amazing! I love all the colors. Awesome jewelry! Great pics hun!! Looove your accessories! New follower! What a great accessories! Love this photos! You look amazing. I'm following you on twitter! Wow LOVE the colours. Great pieces! The beautiful acessories made the difference!!! Love the color! 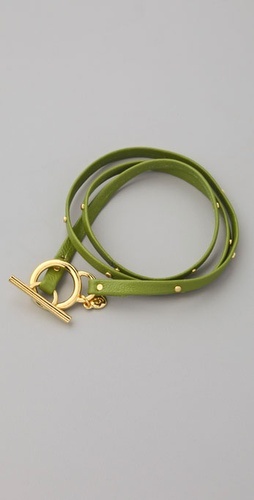 Perfect for plain outfits! After white winters full of bland neutrals I'm always ecstatic for the return of color! A great post about colorful accessories - definitely a thrifty way to incorporate new styles and colors into a basic wardrobe. And extremely glad to hear a great review of Water for Elephants. I've been looking forward to it, but so afraid that it would disappoint. So glad that it doesn't! Thanks for stopping by my blog! I love getting your post updates for an infusion of celeb fashion and big time trends! Super cute look!!! love the bright with the white!! Love love love this look. All white can be fun but that is amazingly fun! 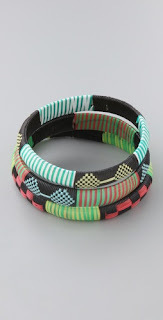 I am in love with wrap bracelets. Cool picks.